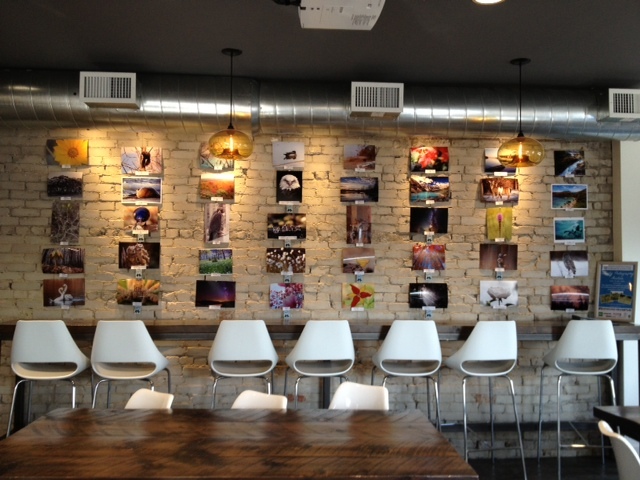 With our photo contest coming to an end, don’t forget that you can take some of those beautiful shots home with you! Photos will be on display at Baka Gallery and Cafe located at 2256 Bloor St W. (Bloor West Village) where you can bid on prints in a silent auction, from MAY 26 – MAY 30. The exhibit will wrap at our Award Ceremony 7:00pm on MAY 30th. Funds raised from the silent auction will be used to plant a native wildflower garden. So be sure to check out the display and bid on your favourites to support your local SCB chapter! Great looking display. I spotted mine on the wall.